To kick off the winter season, there will be a Welcome Winter get-together at 6 p.m. at the Fort Kent Outdoor Center on Saturday, Dec. 3. 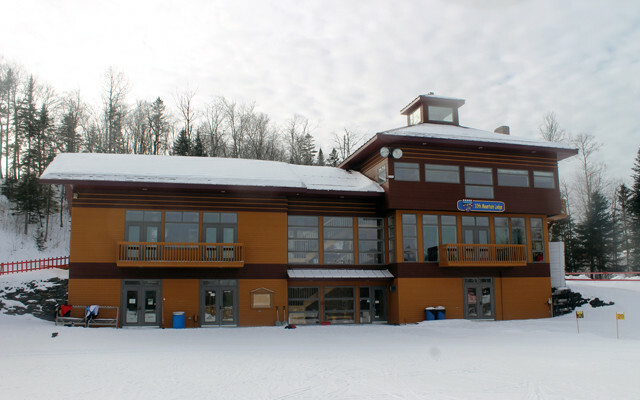 FORT KENT, Maine — With its new groomer and some wider trails, the Fort Kent Outdoor Center is ready for winter, along with the fun and wellness it can bring to those ready to play outside. To kick off the new season, there will be a Welcome Winter get-together at 6 p.m. at the 10th Mountain Lodge on Saturday, Dec. 3. Musical entertainment will be provided by Northern Exposure, and a Christmas Waltz demonstration will be given by Jacob and Christina Theriault. To add to the Christmas spirit, prizes will also be awarded for various categories in an Ugly Sweater contest. FKOC members can enjoy the evening’s festivities for free, and a $5.00 entrance fee will be charged to non-members. Non-perishable food items will be collected for the Greater Fort Kent Ecumenical Food Pantry, and attendees are asked to bring an appetizer to share. New merchandise such as caps, ski hats, long and short sleeve shirts, and mugs with the FKOC logo will be for sale, as well as yearly membership passes. Membership passes can be also purchased online at the website www.fortkentoc.org. For more details and information about other events offered by the Fort Kent Outdoor Center, check out the FKOC facebook page.